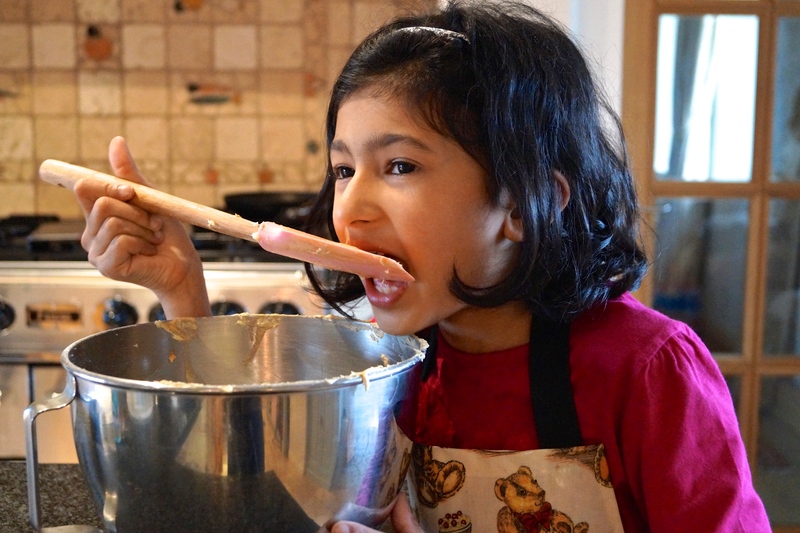 I had a little assistant in the kitchen today, my adorable cousin Ayla who became a baker for the day! She helped me make this coffee cake and a fresh batch of baked doughnuts. Turns out she’s cracking at cracking eggs. 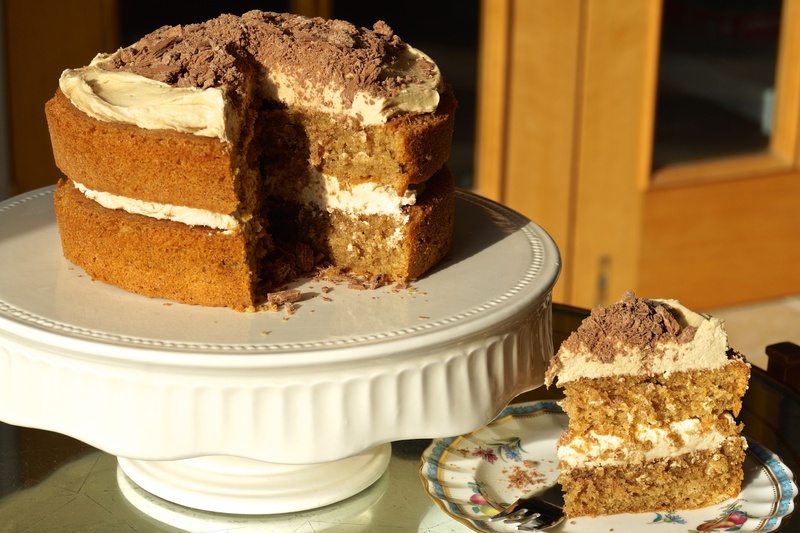 (And also eating leftover frosting) This cake serves 8-10 people, or 1-2 people a few times. 1) Pre-heat the oven to 160FAN. Line two 7” or 8” tins with baking parchment and set aside. 4) Whisk the eggs together and add them in three lots to the creamed butter and sugar, adding a spoon of flour each time to stop curdling. Don’t use all the flour! 5) Add the baking powder to the rest of the flour and add it to the rest of the batter, making sure not to over mix. 8) Let the cakes cool completely on a wire rack. 9) For the frosting, beat the butter until creamy. Add the icing sugar and mix on low speed. 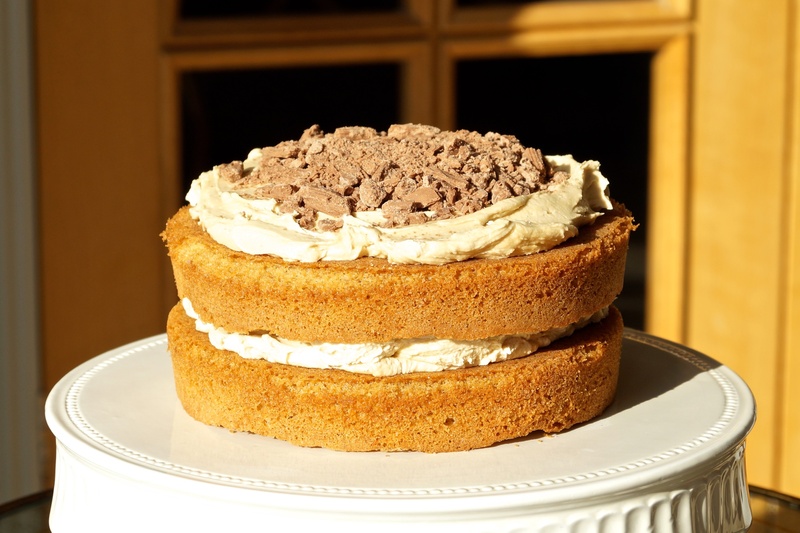 10) Dissolve the coffee a tablespoon of milk and add it to the frosting. You may or may not need the additional milk to loosen up the frosting slightly. 11) Spread half of the frosting over the first cake and top with the other cake and the rest of the frosting. Crush up the flakes and pile it up nice and high in the middle. And thank you to the family for helping clear up!